In the heart of Knightsbridge sits the Bulgari Hotel, complete with The Bulgari Spa which mirrors the Bulgari aesthetic of timeless glamour. 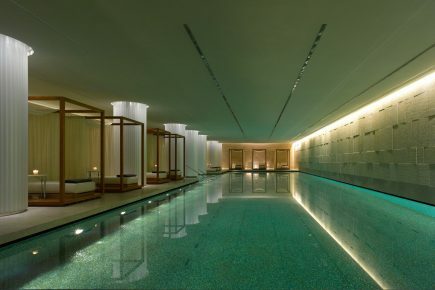 The urban oasis is crafted from onyx, oak and Vicenza stone to blend with the contemporary Italian design of the hotel and, set over two whole floors of the hotel, The Bulgari Spa is one of the largest and most exclusive spas in central London. With an atmosphere of intense wellbeing and tranquillity, the spa offers a selection of the most advanced and bespoke beauty, grooming and health-enhancing treatments available.